Preface: Thanksgiving is my favorite holiday. Of all time. Now that we have gotten to know each other, here are the facts. Similar to a random article you read on Buzzfeed, the following facts are 100% indisputable, or your money back. Good lord, pies. Pies are a man’s best friend. Pumpkin, apple, pecan, the opportunities are endless! Every pie is a good pie on Thanksgiving. It is not difficult to buy a frozen pie crust and a can of pumpkin pie filling, just throw it in the oven and you have an instant classic. Also, pro tip: do a layer of pumpkin over a layer of cheesecake, you will not regret it. I do not know how to do this dish justice, but there is just really something beautiful about casseroles as a whole, so why not sneak some veggies in with some incredibly flavors? Best of both worlds. This one needs no explanation, bread is the gift of all gifts. You are celebrating pilgrims making peace with “Indians” so why not take it back to our humble grainy roots with a good, warm, buttery roll? Butter, chives, cheese, whatever you add, mashed potatoes will always be a cult classic. I know that this an unpopular opinion but hear me out. Among all of the heavy foods on your plate, varying only in shades of salt and bleak brownness, cranberry sauce provides that sweet yet tart, colorful, palate cleanser that is incredibly underrated. Congrats on having that vegetarian family member. No matter how much their mom begs you to make them tofu, say no. It is gross and floppy, no matter how you season it. You can be a health nut 364 days of the year, you can run right after the feast, but you should not dare suggest the chef cook up any healthy food. 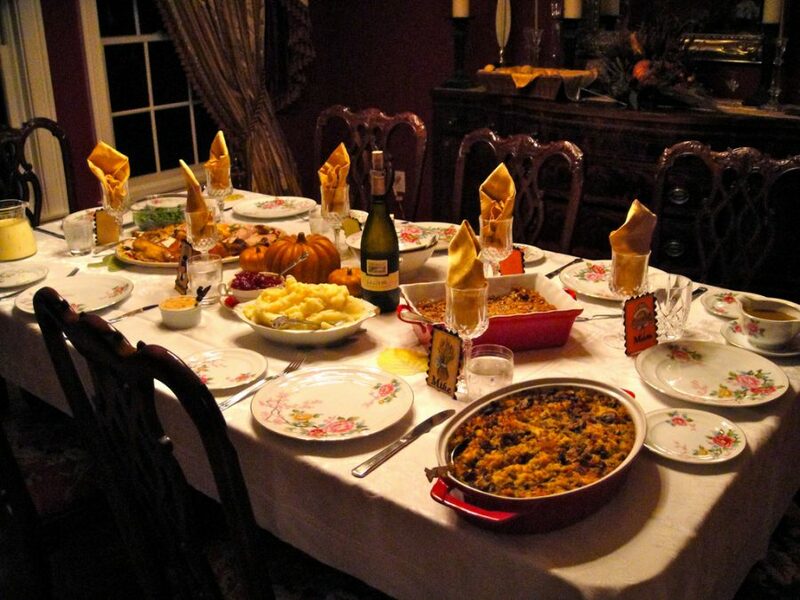 Thanksgiving is a time for fatty foods and elastic waistbands, leave the kale off the table. Sweet potatoes are great year round, a phenomenal addition of color to any plate, with any topping. However, for thanksgiving specifically, if you are going to put yams on the table, throw marshmallows on top to have even the pickiest of eaters eating their veggies. There, I said it: turkey? Not that great. Instead, I suggest you opt for a tasteful chicken or if you are feeling very adventurous, pork! Nothing like a good ol’ rosemary pork loin. Listen closely, if there is one food on this list that you decide not to fix, it needs to be dressing/stuffing. No matter what you call it, it is nasty. There is no need to mix bread with random things, just eat the bread. Do not disrespect it by making it a soggy mess of flavors.